This exhibition took place from the 20th February to 22nd May 2009 in conjunction with Darwin's Reach: A Celebration of Darwin's Legacy Across Academic Disciplines March 12th, 13th and 14th, 2009. Presented by the Hofstra University Library, Hofstra College of Liberal Arts and Sciences and the Hofstra Cultural Center. Here is the write up for the exhibition. On the Origin of the Species by Charles Darwin (1809-1882) was published in 1859. His ideas were considered revolutionary in the world of science and his impact on the culture and climate of the 19th century was felt as well. This was an age when phrenology (the study of how the shape of the skull indicates different traits) was a popular science, when an emphasis on realism best defined the art world and where the plight of the poor was serialized in newspapers and magazines. At the time, the concepts of "natural selection" were debated by both the clergy as well as scientific authorities. Today, Darwin's contribution and discoveries in the natural sciences are recognized as the fundamental concepts of biology, although they are still not always universally accepted. His writings about natural selection and evolution were quite revolutionary and these concepts have been mulled over by both the general populace as well as by artists. The focus of this exhibition is the original Tree of Life sketch that Darwin included in his 1859 publication. Artists since Darwin, inspired by the image of the Tree of Life, have created their own versions using various artistic techniques. The original sketch, when viewed as an artistic work, is simplistic and childlike. 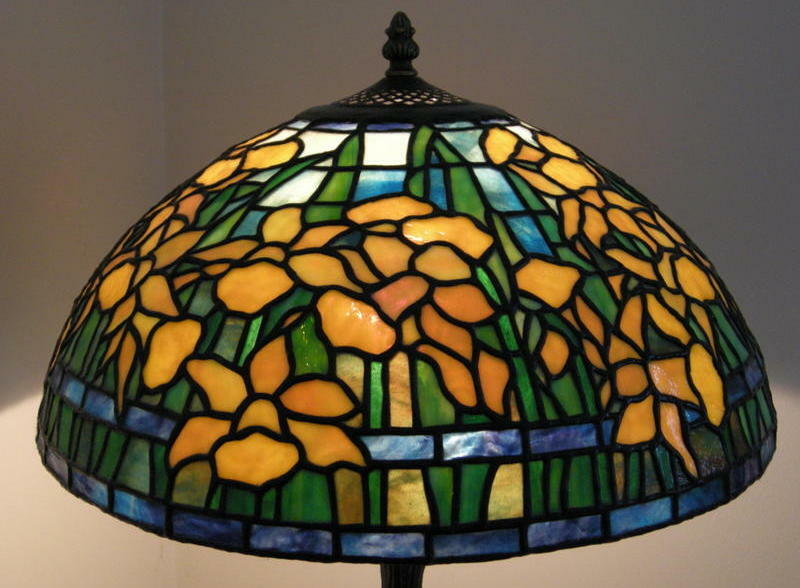 Many of the reactions to the original are also uncomplicated, both in shape as well as colour ; others are much more complex. 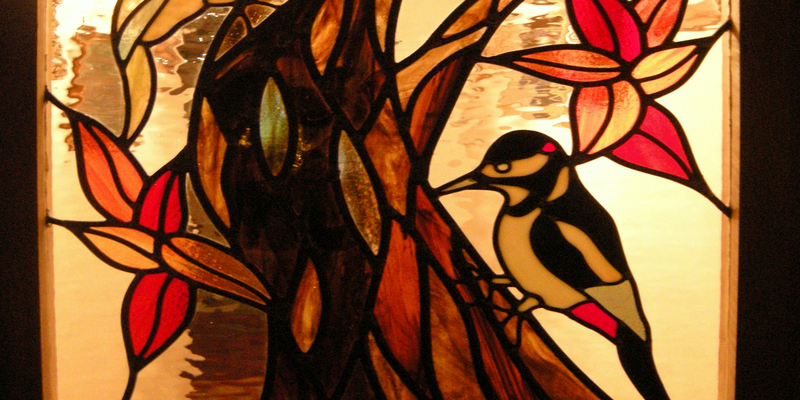 Whether in oil or acrylic, mixed media or stained glass, Darwin's symbolic use of a "tree" often depicts all that is natural or found in a natural world. Although the artists in this exhibition do not always portray this tree in a realistic way, the tree is still the most recognizable form. Using leaves or branches or earthly colours, the symbol of a tree grounds each of the artworks. The legacy of Darwin, may be interpreted by scholars or debated by the clergy, however, these artists have embraced the depiction of the natural world as he defined it. 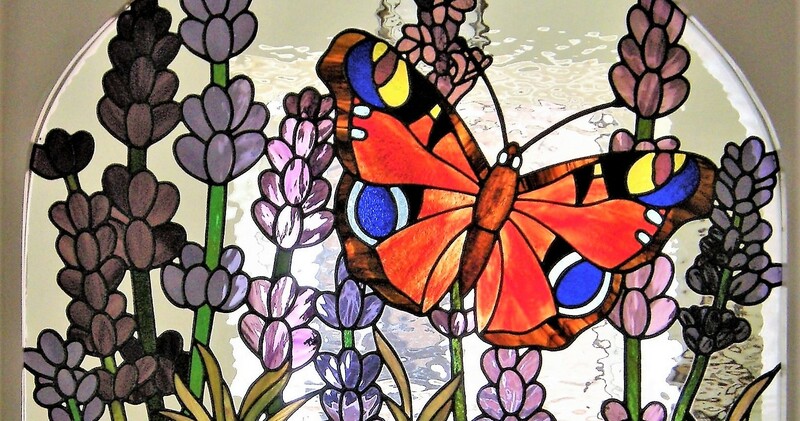 The original stained glass piece is available to purchase, please feel free to enquire within. The design is in a light form follows the colours of the rainbow in a flowing nature 7 times (49 pieces of coloured glass), I have allowed the observer to pick where the start and finish of the rainbow is in the design. The glass at the bottom if the panel is Iridescent glass which displays a spectrum of colours that shimmer and change due to interference and scattering as the observer(s) position changes. print for the exhibition in such a prestige event, I am honoured and most greatful. All the best to you Geri, also for all those involved in the event.